If you are injured as a passenger in a taxicab accident, you could suffer many serious injuries, such as traumatic brain injury, back, neck, and spinal injuries, paralysis, and broken bones. You deserve to be compensated for your injuries by the negligent taxicab driver and the company he works for. However, in some wrecks, more than one driver is at fault in causing the crash. 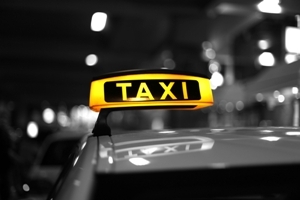 What happens if another driver as well your taxicab driver caused your injuries? Who is responsible for paying you the compensation you deserve? Liability for compensating you could be shared by both another driver and the taxicab driver if both were negligent. For example, another driver could have been 20 percent at fault in causing the crash by exceeding the speed limit, and your taxicab driver may have been 80 percent at fault by texting while driving. In this situation, the taxicab driver and his employer would be responsible for paying 80 percent of your settlement amount, and the other driver would have to pay 20 percent of it. If one party is more than 51 percent at fault in causing a crash, he would be barred from any recovery from the other negligent party under the modified comparative negligence rule. This rule would almost always only apply to the claims of the drivers of a vehicle, not a taxicab passenger or passenger in another vehicle. In the previous example, your taxicab driver would not be able to recover damages from the other driver involved in the accident because he was more than 51 percent at fault. Your claim for compensation could be reduced if you are found to be partially at fault in causing your injuries under the modified comparative negligence law. While this is rarely an issue when a taxicab passenger is injured, it could affect your case if you failed to wear a seat belt that was provided or you somehow negligently distracted the taxicab driver. Even if this rule did apply, your settlement could be substantial. If more than just the taxicab driver caused your crash, you may need to sue multiple parties to obtain the compensation you are entitled to. This is just one of the unique complexities you could face in your taxicab wreck case. That is why you want an attorney who is experienced in handling taxi crash cases—like the legal team at the Hart Law Firm. Start an online chat today to schedule a free, no-obligation consultation to learn how we can help you.